When Amanda Foster, 27, smart, talented, single, lead writer for The American Way newsmagazine meets Peter Richardson, 33 and widowed, they both feel an immediate attraction to each other. 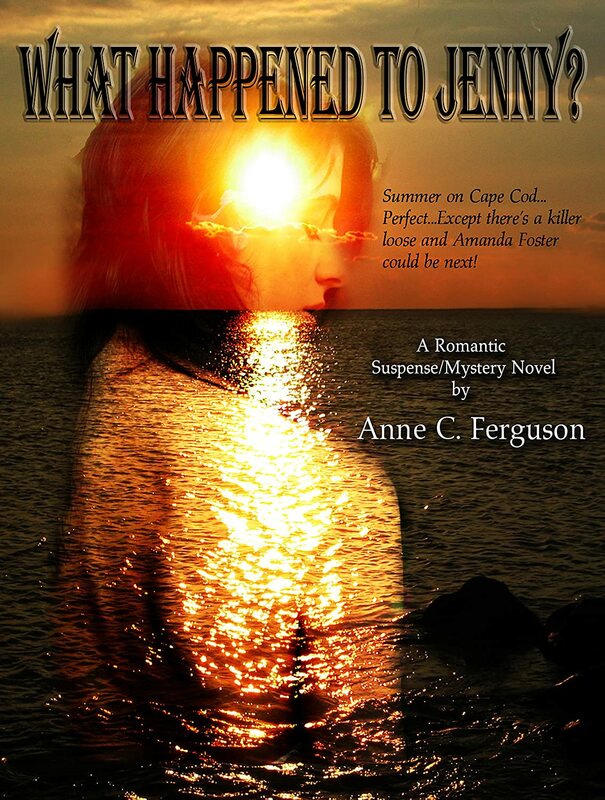 The problem is her assignment to do a story on the family, is a cover, her real purpose, to find out what happened to Peter’s first wife, Jenny, who died in a foot of water not far from the Richardson’s Cape Cod house. Amanda is thrown into a dangerous situation as she seeks to flush out a killer in the midst of family secrets, deceit and her steamy romance with blond, blue-eyed Peter Richardson. I have been writing romantic suspense/mystery novels for years. I also spent a number of summers over my lifetime on Cape Cod at camp, visiting family, vacations. I have also lived in New York City over the years, and so both locations are very familiar to me. My female characters are always strong willed and talented. They are always driven business wise, but their romantic relationships are not always as successful. This creates a combination of them being focused on their jobs and at the same time, overcoming their relationship conflicts, where romance will always take a backseat to their craft. Despite their resistance to love on both the part of the male and female, love is inevitable. And there always has to be a murder, doesn’t there? My characters are not any one particular person. They grow out of the many parts of me, the many parts of people who have crossed my path in my life, and the many parts of themselves, as they begin to evolve, eventually speaking on their own. They are regular people. The heroines are not overly pretty, but they become beautiful in their own ignorance that they are such. My heroes are arrogant and confident usually, but they learn about their feet of clay through their inevitable romantic connection with my heroines, who hardly hold anything back. Usually, I will just close my eyes and I will see a person in a certain predicament, and off it goes into a story. Peter Richardson closed Amanda’s office door and slipped the lock, walking briskly over to her. He moved around her desk turning her to him by the arms of her swivel chair and looked into her green eyes. She was mesmerized by his blue ones, and it seemed as if time suddenly stood still. Very slowly, Peter Richardson leaned closer and placed his mouth gently against hers, and a shock ran through both of them. Amanda pulled back surprised, touching her lips with her slim fingers, and Peter smiled. “Not my imagination,” he whispered. Anne C. Ferguson has been writing romantic suspense/mystery novels for a number of years and last summer, she returned to it after spending many years painting and then photographing rock bands and everything else that caught her eye. She brought all of her novels down from the attic, many typewritten and long hand and entered them all into her computer. For the last year she has been rewriting all of her novels, putting aside those that didn’t make the cut, and since then she has written a number of new novels. She uses every spare moment outside of her full workday, to write, rewrite, edit and proof every weeknight and throughout the weekends, her passion for writing more powerful than it has ever been. She now has six completed books, some late 1800’s, some present or close to present. Ms. Ferguson’s books always carry strong women and arrogant men who learn to be better through their growing love for each other. Of course, there’s always a murder to keep her characters on her toes. Upcoming novels: The Golden Scallop (expected August/September), Hargrave Manor, Footlights to Murder, Highland Mist and By Your Side Until Death. She is excited and energized. Note: What Happened to Jenny? will be up on Amazon as a paperback in late August/Early September. All other subsequent novels will also be available in Kindle and print. Enjoy!